As champions of Cloud computing and Cloud migration, we recommend using Office 365 as your operating system to make the software you already know and use in the office do more for you and your staff, and help make your working practices as flexible as possible. With Office 365 your staff are able to operate their normal desktop programs anytime, anywhere. Programs including Word, Excel, Outlook, OneNote, PowerPoint and so forth can be accessed through home computers or alternatively on any computer in your office, therefore allowing you as a business to offer home-working or hot-desking at your office. The advantages of having Office 365 include fostering seamless coordination for your files and documents across a number of programs available on any Office 365 enabled computer with a 99.9% uptime guarantee. 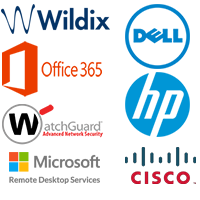 Furthermore, the use of Microsoft’s Cloud systems provide one of the safest and most secure environments for your documents as a business. The suite is simple and straightforward to use, and therefore requires no previous experience in IT to make the most out of it. Our team will go through how to maximise the operating system to make your office run as seamlessly and flexibly for you and your staff. We’re highly experienced in setting up businesses onto Microsoft Office 365 and maximising their potential through the services they offer. Ready to upgrade to Office 365? Click here to contact us today, or alternatively email info@ampletech.co.uk or call 0121 392 7545.